Strategic design for influence, impact & integrity. Connecting insights and ideas across disparate ecosystems to solve complex business puzzles and orchestrate holistic human-centered products, platforms, services and experiences. To inquire about working with me or to see my portfolio case studies, please get in touch. Designing for influence, impact and integrity. I lead teams and organizations in strategic human-centered design and systems thinking to craft holistic solutions to emerging problems with innovative products, services and business systems. I apply holistic experience strategy and design thinking to lead teams from idea to execution by applying my unique hybrid expertise to guide cross-functional creative collaboration, build a common vision, and drive rapid design iteration built on strategic data-driven insights. All roads in UX/CX lead to influence. Be it in the pursuit of enabling users to exert new influence via new tools/features or to give influencing power to a business via more precisely orchestrated organizational systems - it’s all about influence. Strategic design is about insight-driven creative problem solving, in other words, it’s about effecting impact on the system for which you are solving the problem. Impacting human behavior, business outcomes, organizational processes, mental models, creative processes, and more. No design system today can truly be effective and successful without a foundational focus on creating systems of value, trust, quality, reliability, security, transparency etc. — this is design with integrity. 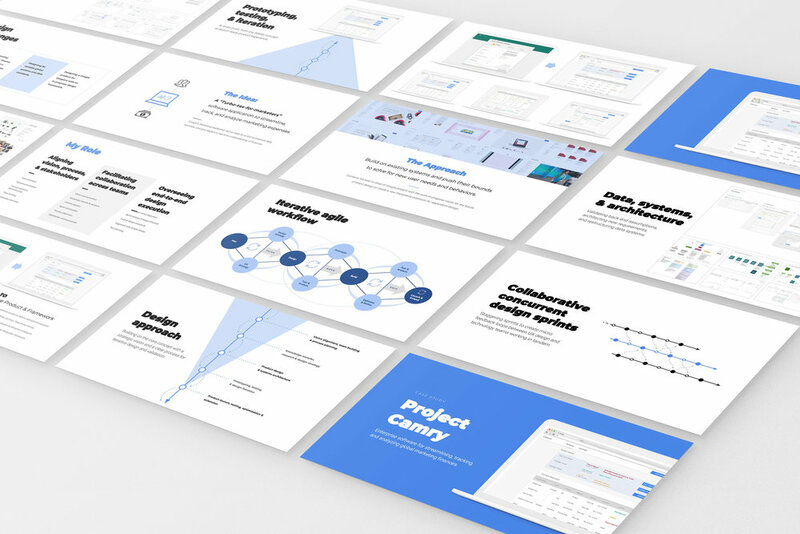 A select collection of projects I’m proud of — products, platforms, frameworks, services & business systems which my teams and I have contributed to creating. See these projects and more. Get a deeper look into my work, process, approach and design thinking methods with these design case studies. See the bottom of this page for more Design Documentation Samples. Contact me to request the password. Proven expertise leading strategic design from vision to execution. I’ve led multidisciplinary teams and organizations to create digital and physical products, services, programs, frameworks, dynamic communication systems, new business ventures and more. First began designing and creating art professionally as a freelance designer more than 15 years ago. Professional experience in web, graphic, apparel, print, branding and other misc. creative design areas. Formally trained and gallery-shown, fine artist. Designed and shipped numerous products and services including mobile apps, enterprise software, brand UX/UI frameworks, AR/VR experiences, mobile games, e-commerce platforms and more. Additionally I’ve led the strategic design of projects including nonprofit programs, hardware systems, blockchain technologies, ad tech solutions, creative workflows, data-driven learning methodologies and rapid DTC brand platforms. Built and managed 10+ person UX strategy and design teams including interaction design, UI design, content strategy, experience strategy, UX engineering and more. Led the creation of 3+ new teams/business offerings including R/GA’s embedded team at Google in Mountain View, CA. I have had the privilege of leading teams and strategic design thinking for many of the leading strategic design thinking for many of the world’s leading consumer brands and customer experience leaders. Here are a few of the brands to which I’ve contributed. My teams and I have been fortunate to receive numerous recognitions, awards and honors from these organizations and others. Max Miner is an award winning multidisciplinary leader in strategic experience design (UX/CX), formally trained professional freelance artist, design entrepreneur and strategic design consultant.